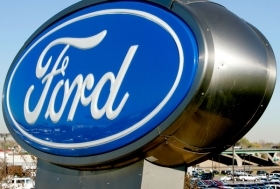 Ford of Europe's second-quarter pre-tax profit was 76.3% lower than in 2008. MUNICH -- After suffering a $550 million pre-tax loss in the first quarter, Ford of Europe showed a $138 million pre-tax profit in the second quarter. Ford's Swedish brand Volvo widened its pre-tax loss in the second quarter to $231 million from $120 million. Ford of Europes second-quarter pre-tax profit was down 76.3 percent compared with the $582 million it reported during same quarter the year before. Ford said the second-quarter profit decline was mainly due to lower industry volumes, dealer stock reductions, higher material costs and an unfavorable sales mix. Scrapping incentives offered in many European markets are boosting sales of low-margin models such as Ford's Ka minicar and Fiesta subcompact. That means volumes look good but profits take a hit. Ford said the drop in profit was partly offset by structural cost reductions, favorable net pricing and market share improvement. Scrapping schemes in markets such as Germany helped Ford boost its European market share a half point to 9.0 percent, its highest second-quarter level in the last 10 years. Ford of Europe has second-quarter revenues of $7.2 billion, down from $11.5 billion a year ago. Volvo's widening loss reflected lower volumes, but "was partly offset by continued progress on cost reductions and favorable exchange rates," Ford said. Volvo's second-quarter revenues were down 32.6 percent to $2.9 billion. Ford wants to sell Volvo. The U.S. automaker is talking with potential buyers, which it has not named. Based on first-half volume, Ford now expects that total 2009 sales in its main 19 European markets will be between 15 million to 15.5 million passenger cars and light commercial vehicles, which is higher than the previous outlook. Ford of Europe plans to build 385,000 units in the third quarter compared with 394,000 in the same period last year. Volvo's third-quarter production forecast is for 74,000 units compared with 72,000 last year. In the second quarter Ford built 398,000 units in Europe, compared with 565,000 the year before. Volvo built 74,000 units compared with 112,000 last year.